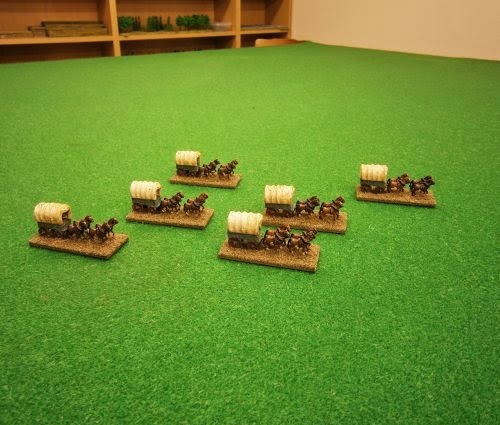 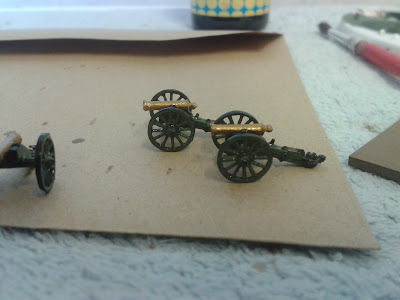 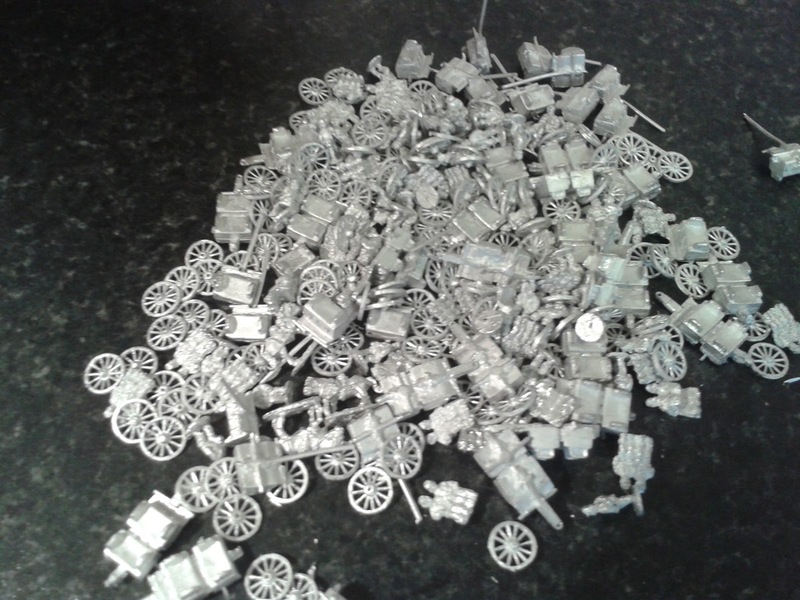 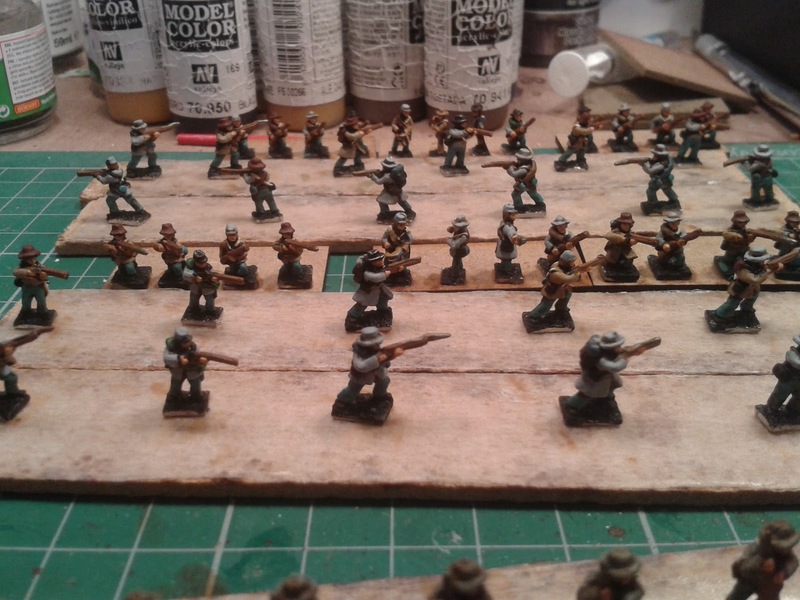 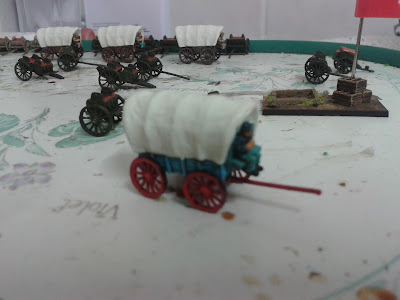 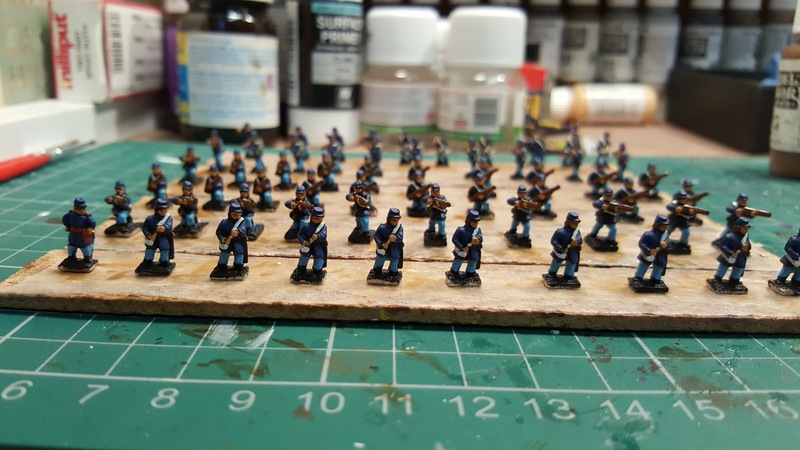 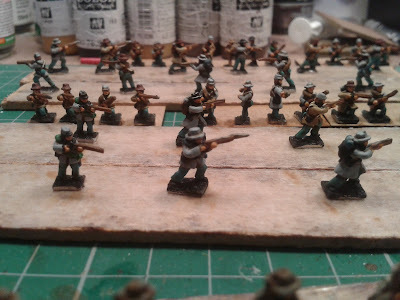 My 10mm American Civil War project has been on the cards for a couple of years now. 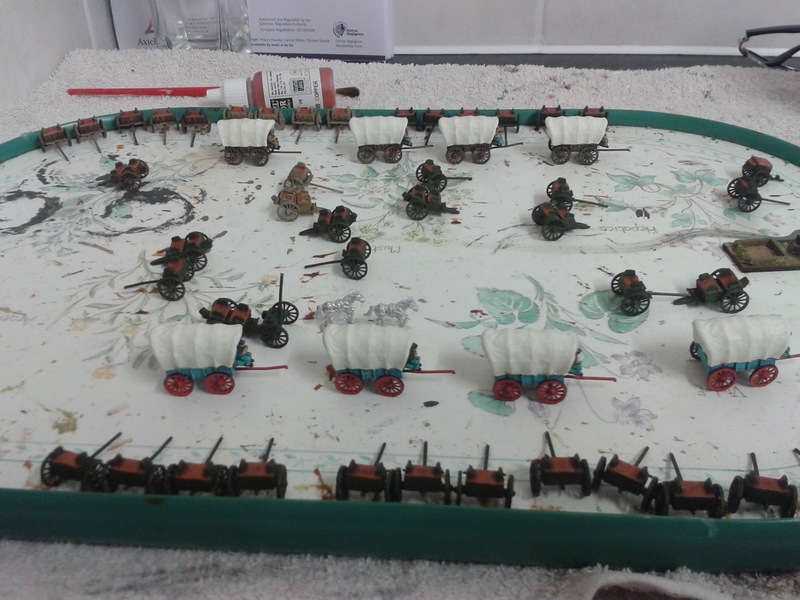 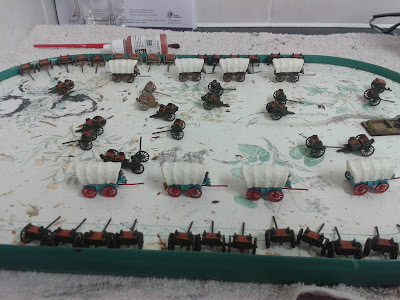 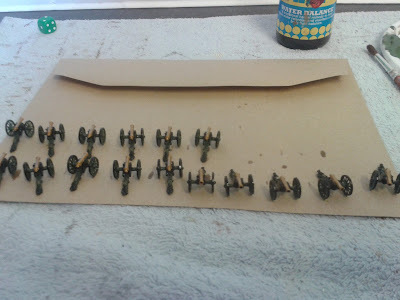 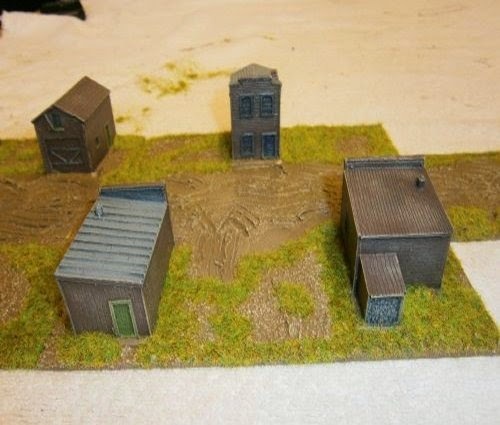 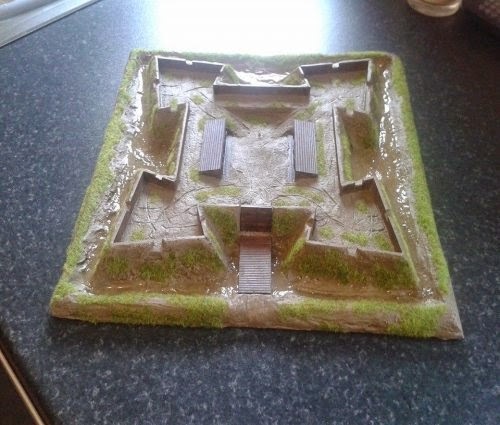 However I had to first construct the scenery that I would be using for the American Civil War project and secondly, I had to build a wargames table all of these have now been completed. 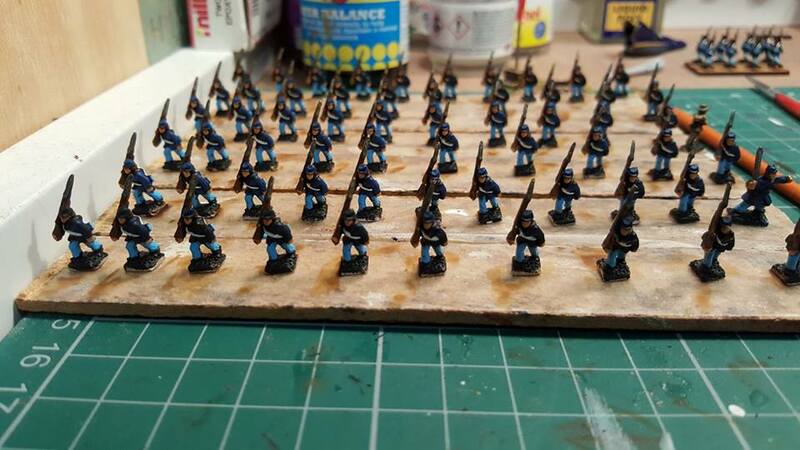 American Civil War Confederate Army. American Civil War Union Army. 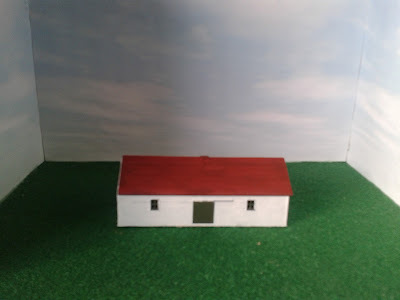 Making American Civil War Blockhouse. 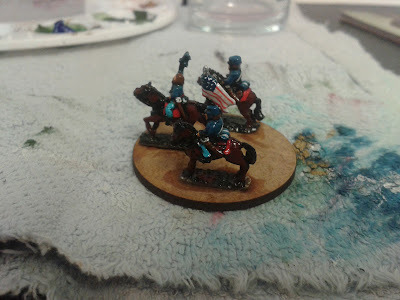 Painting American Civil War Confederates. 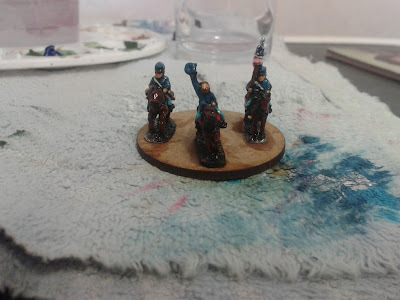 Painting American Civil War Union. 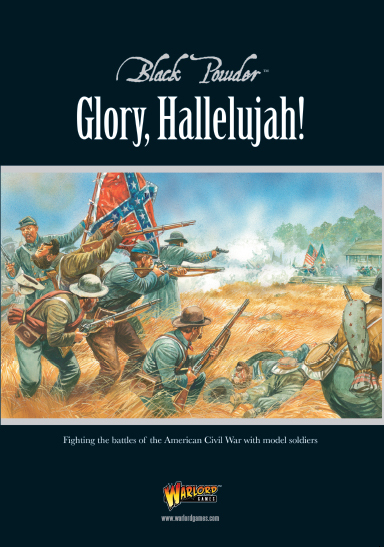 American Civil War Battle Reports & Scenarios. My American Civil War Book Library. 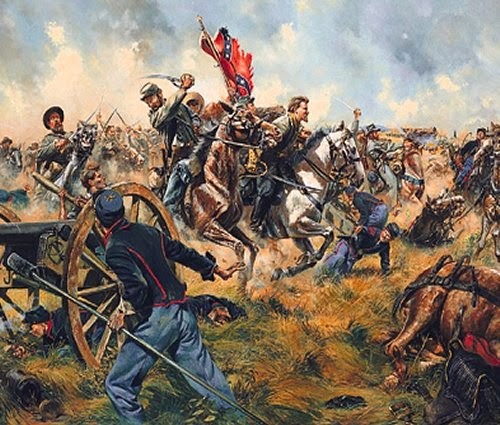 Useful American Civil War Links. 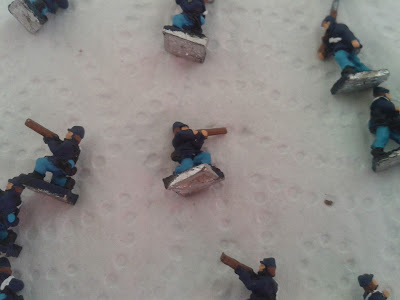 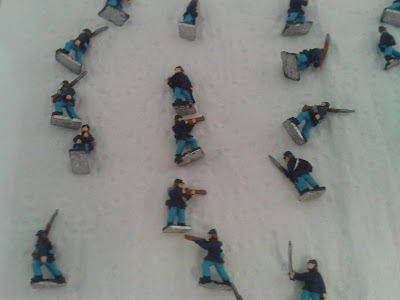 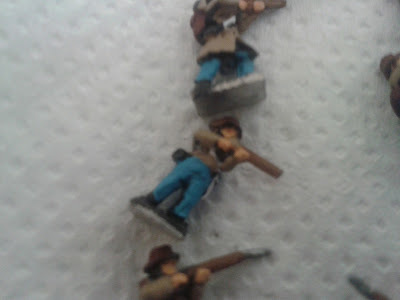 American Civil War Project Pictures. 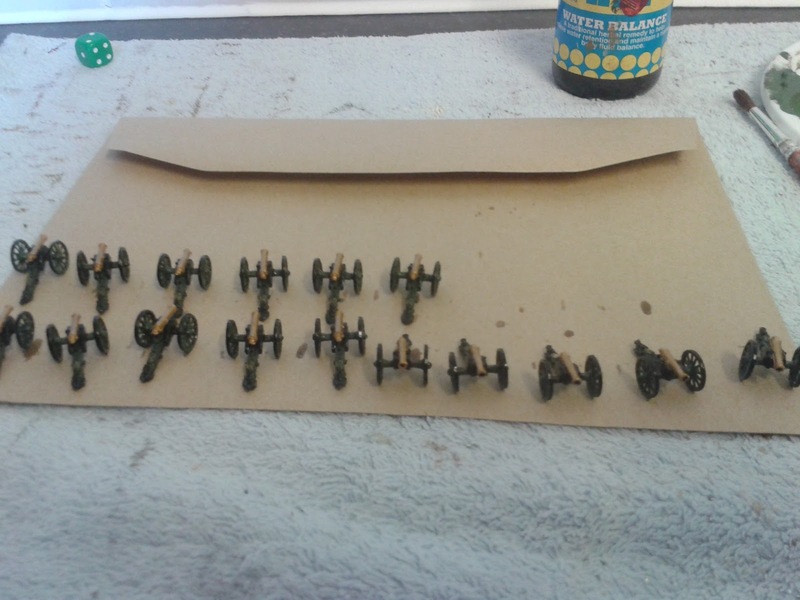 The rules I will be using are Black Powder and Glory Hallelujah! Black Powder Supplement. 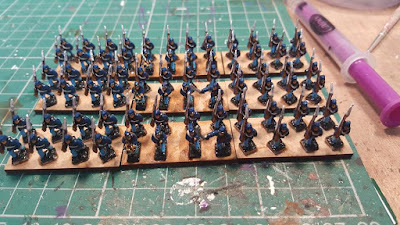 The core of the army will be built using Pendraken Miniature's other manufacturers which I intend using are Blaze Away Miniatures which are now produced by Lancashire Games. 3 more union units based ready for texturing. 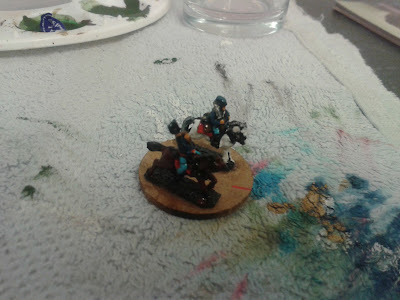 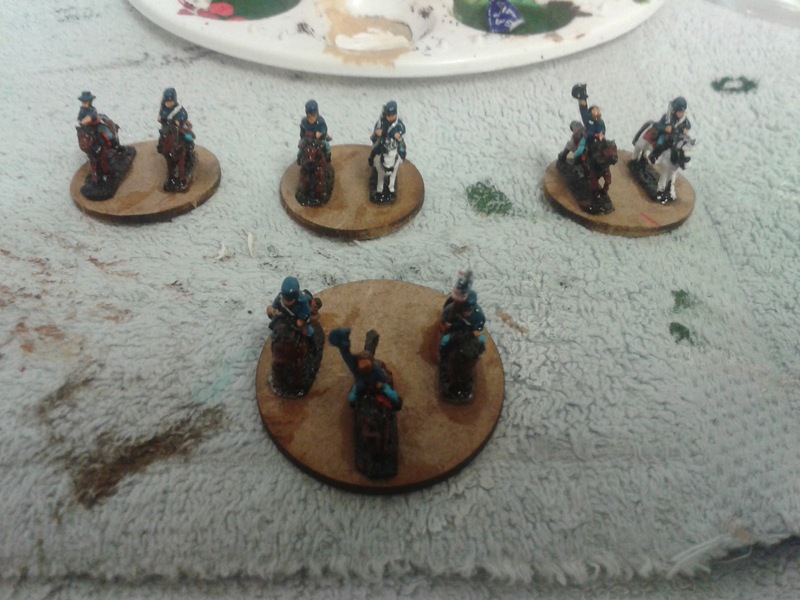 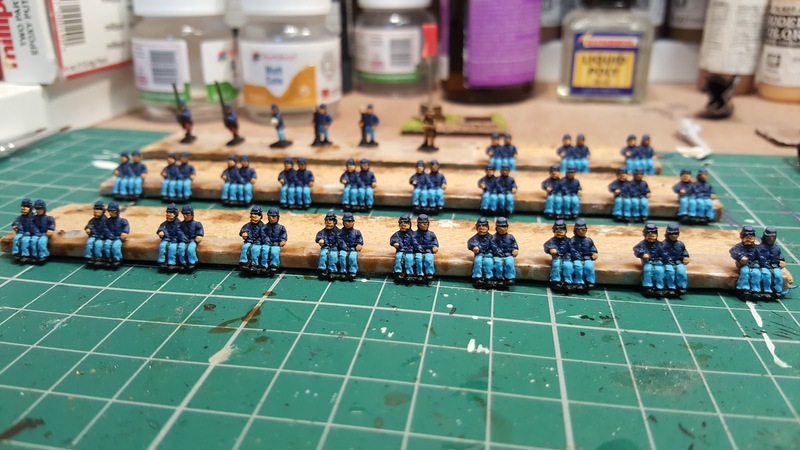 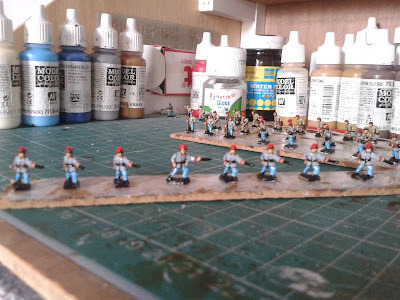 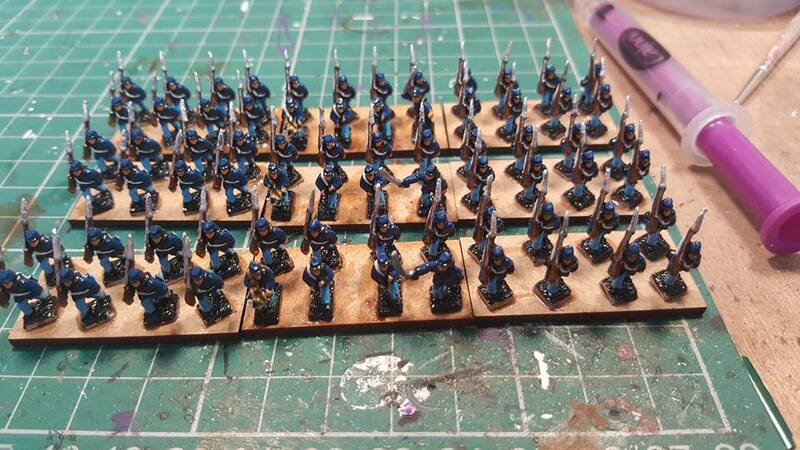 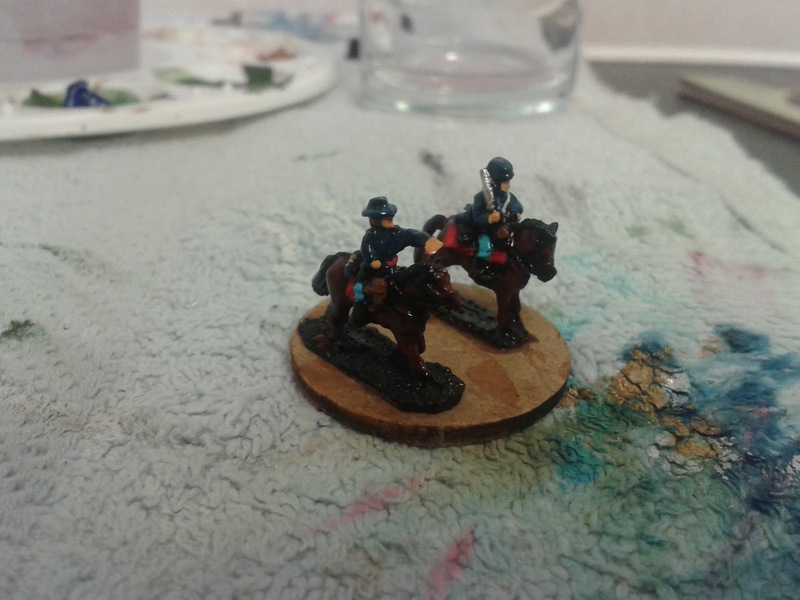 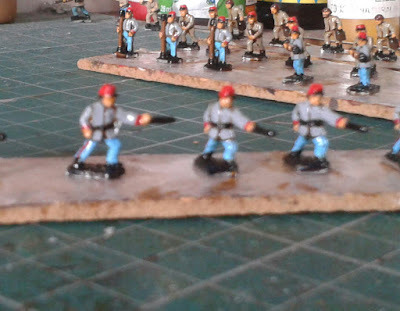 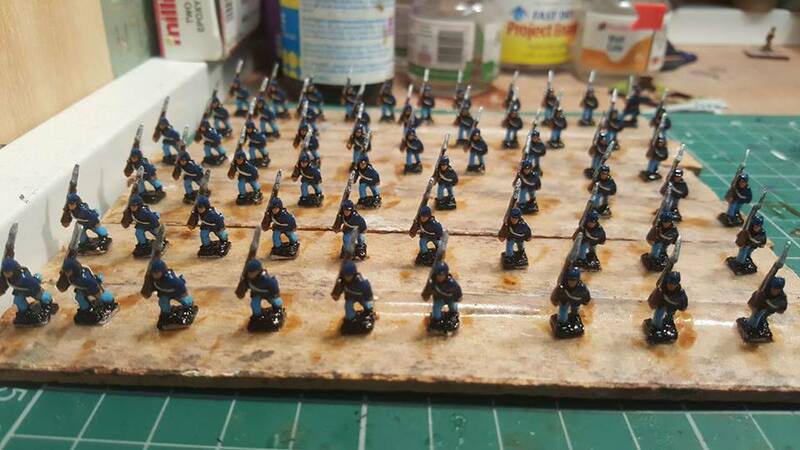 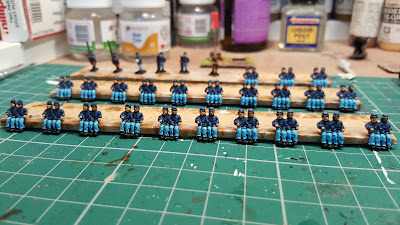 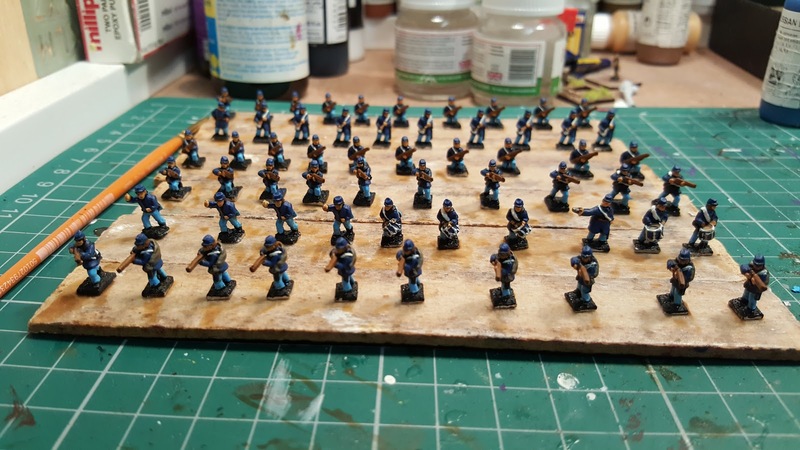 Varnished some union Infantry it's nice to be getting on with this project. 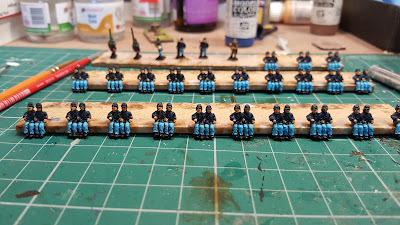 All the straps and gun slings finished. 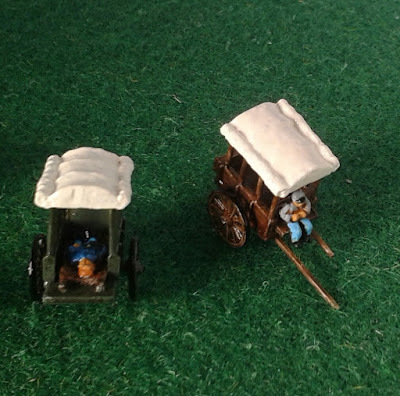 I finally got back to painting some ACW figures. I've still got an awful long way to go before I've got two armies with which I can play with. 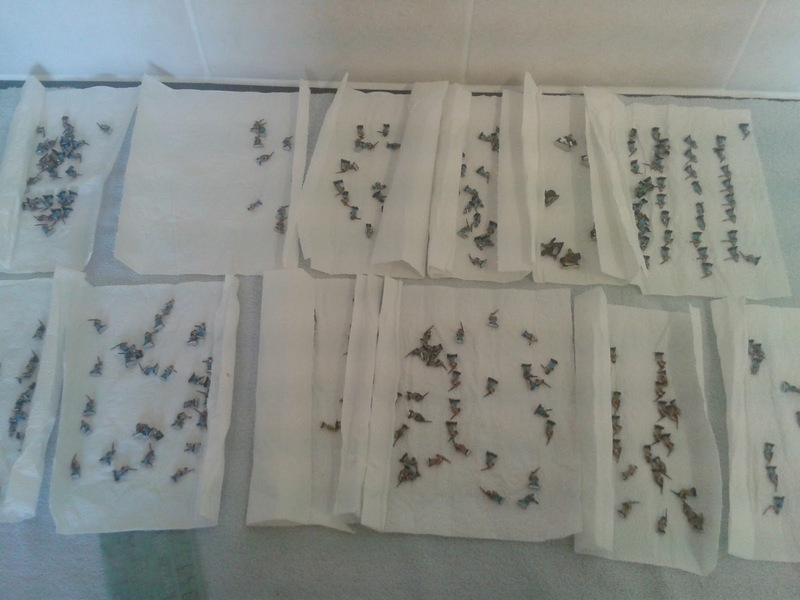 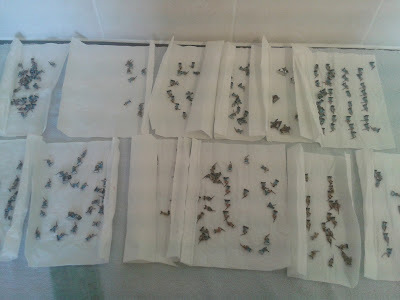 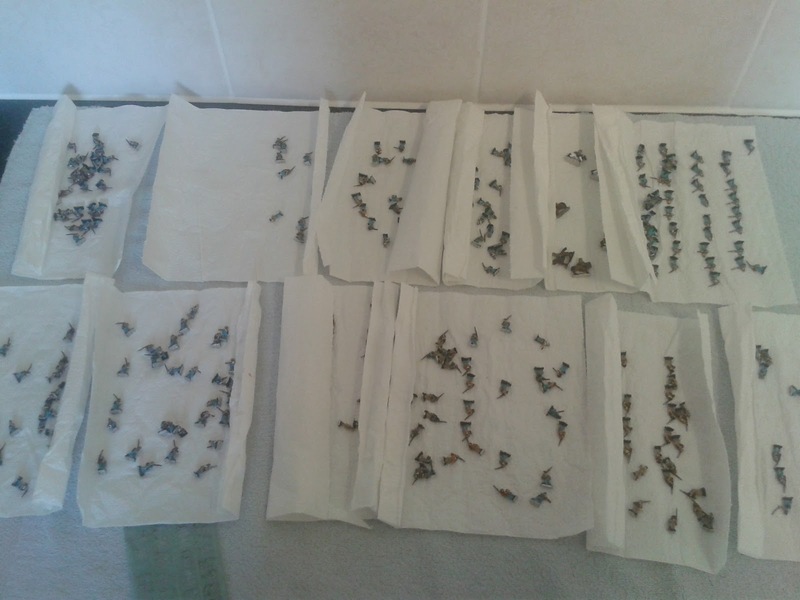 On 21 Dec i received my figures from Turbil Miniatures. I received an e-mail from Turbil Miniatures last night to inform me that they had finished the last of my figures. 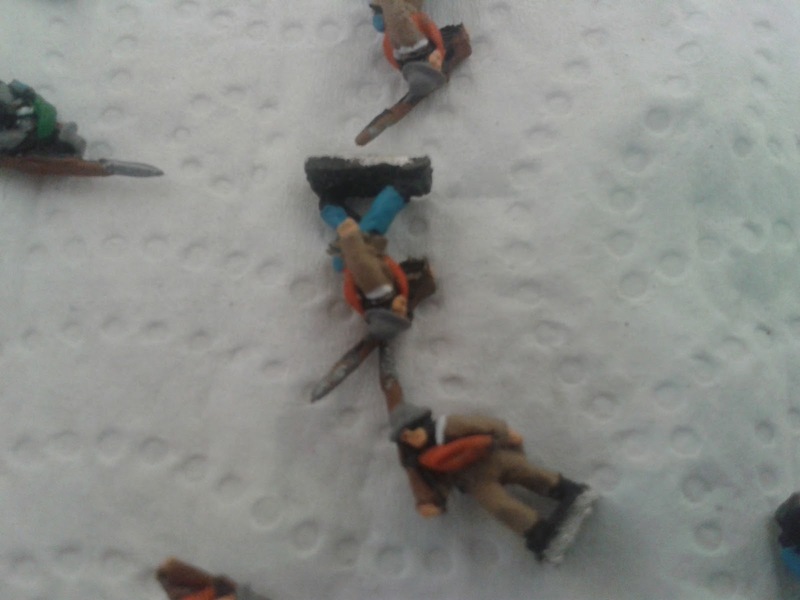 I received an e-mail from Turbil Miniatures last night to inform me that they had started on my figures. 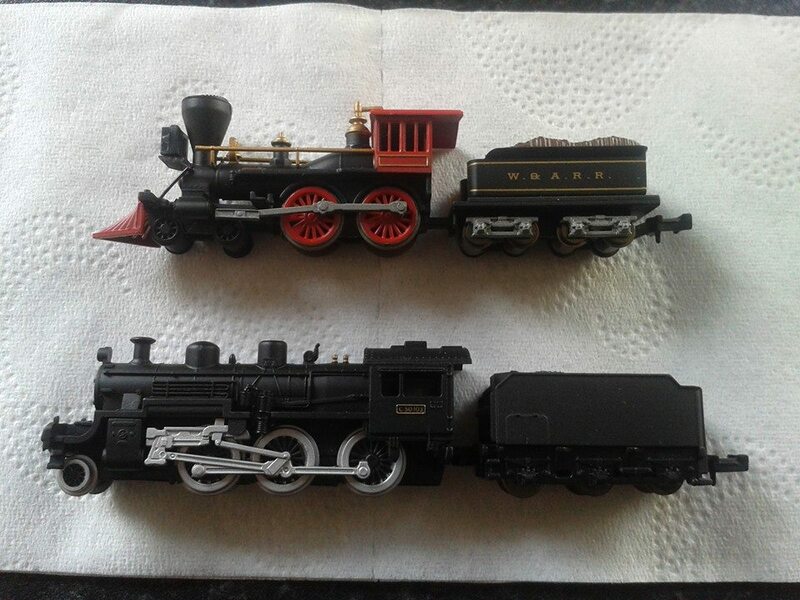 I must admit I'm a little bit excited about this and can't wait to see the results. 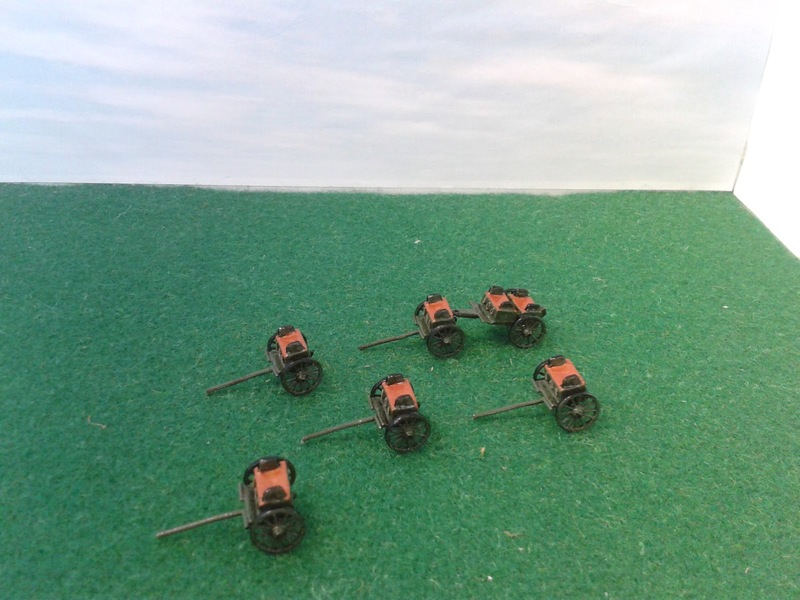 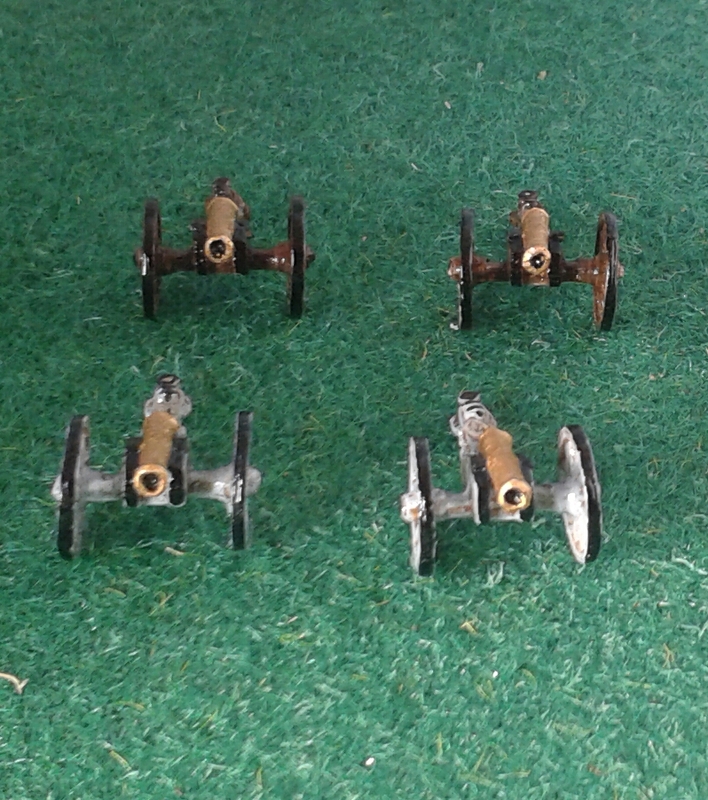 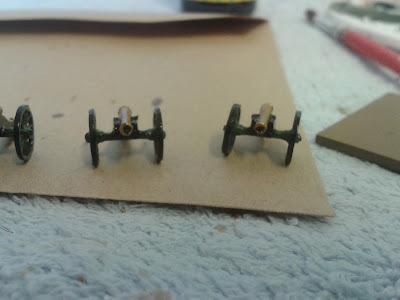 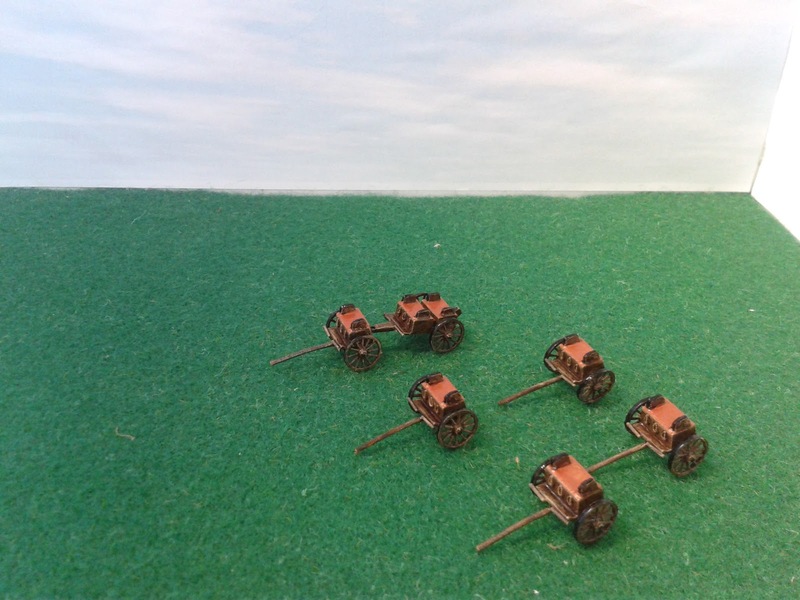 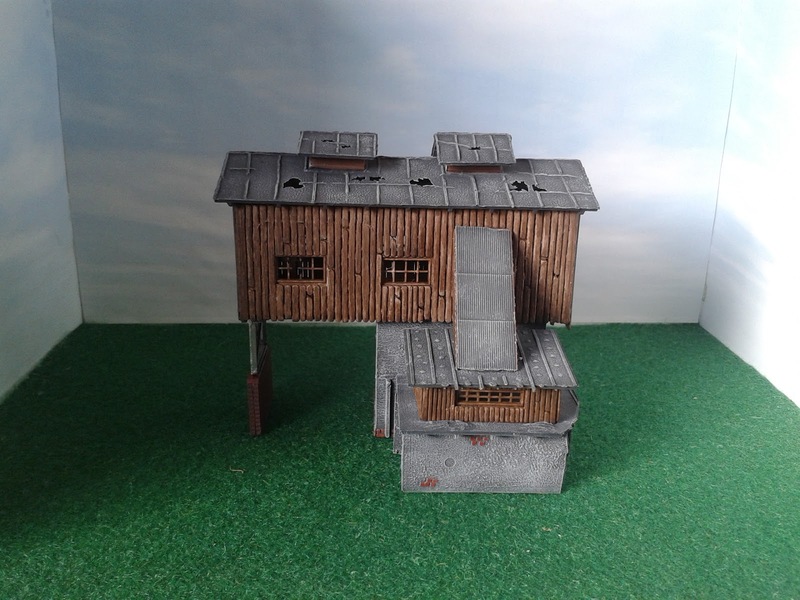 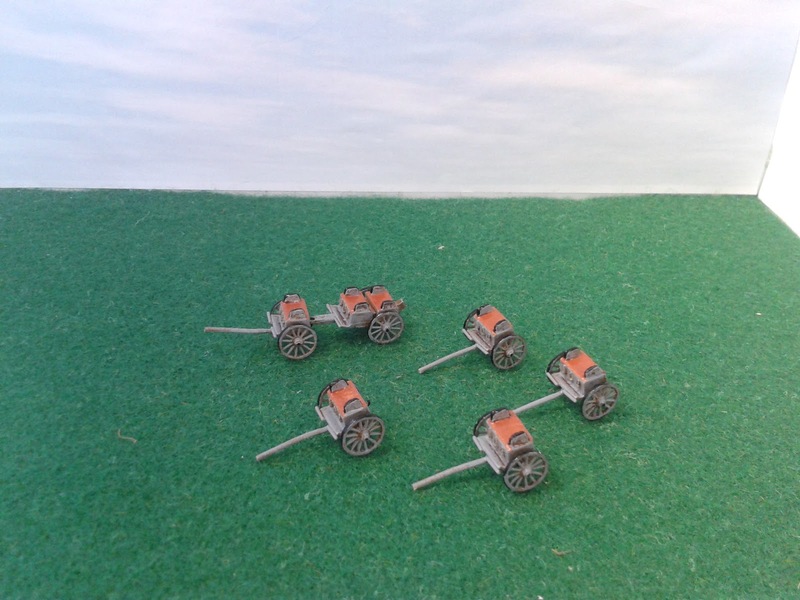 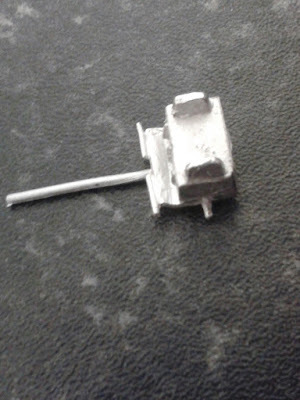 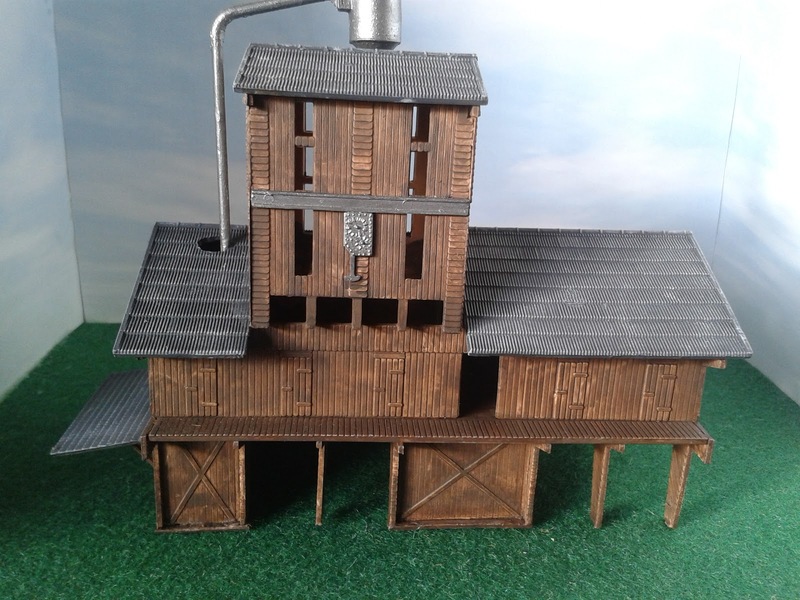 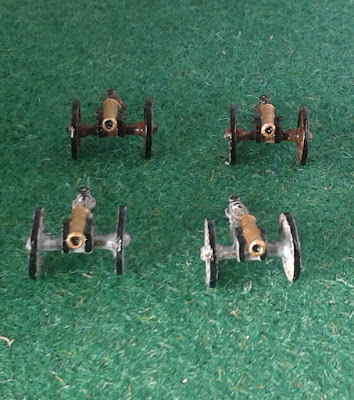 Some gun emplacements all finished the can be used for FIW, AWI and ACW. I recently painted the Stone House which came from TimeCast based on the stone house which served as a temporary hospital at the Battle of First Manassas. 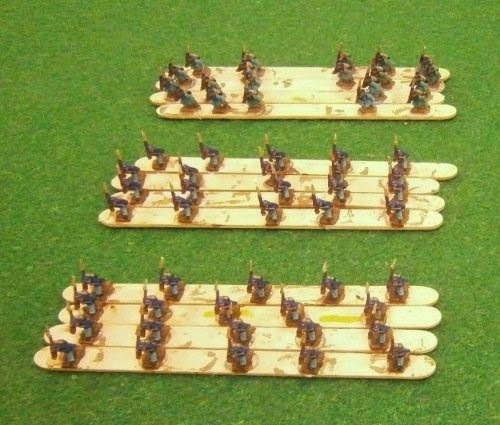 This entry for the Pendraken Painting Competition 2013 I completed earlier in the year and consists of five regiments of union cavalry. 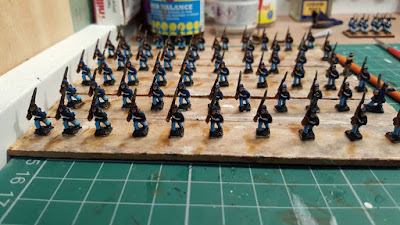 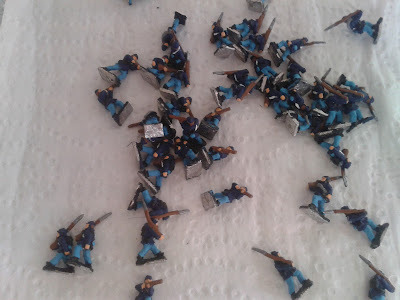 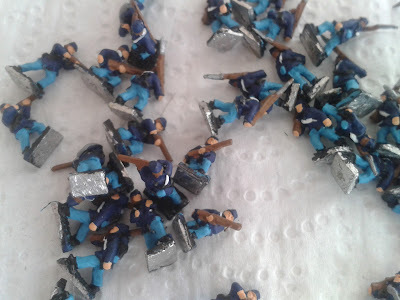 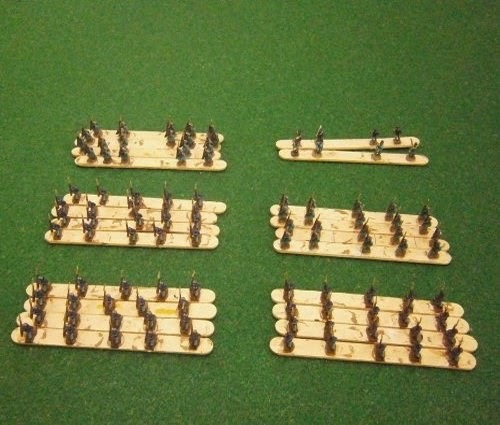 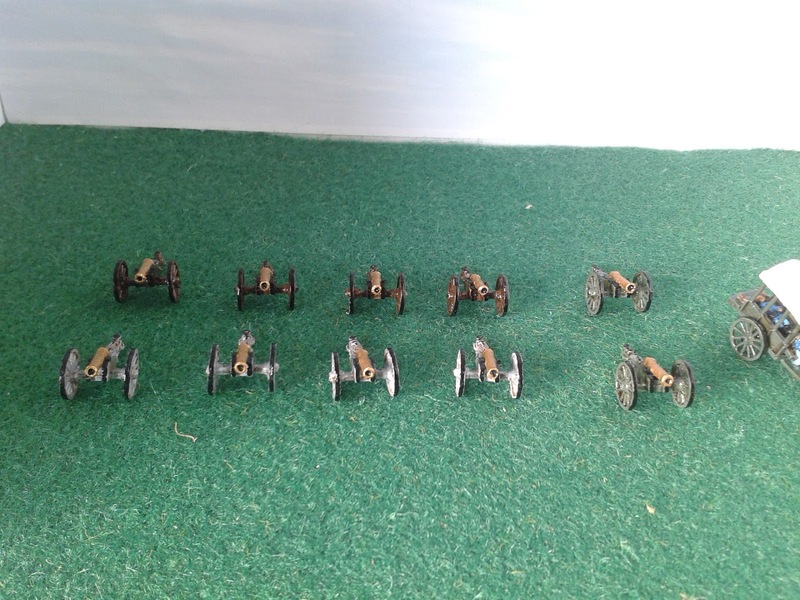 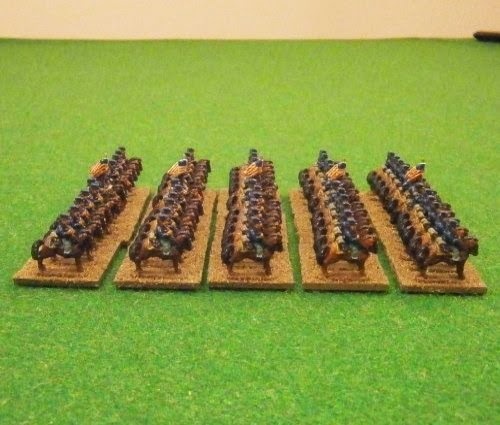 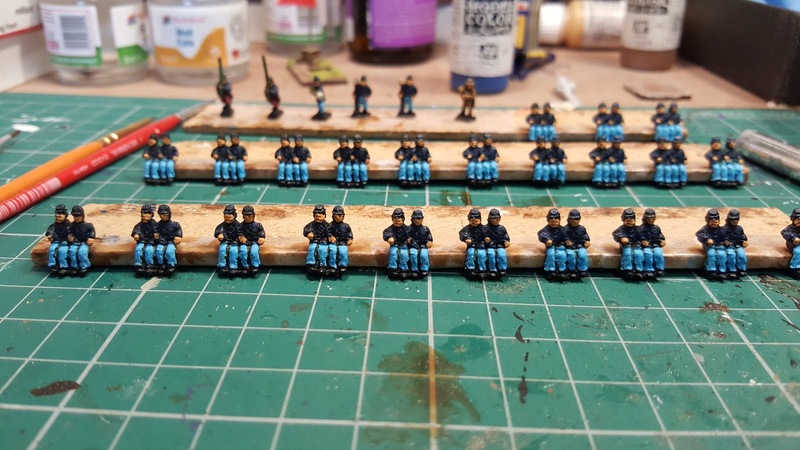 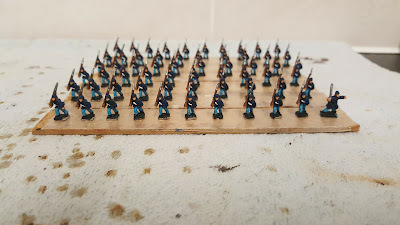 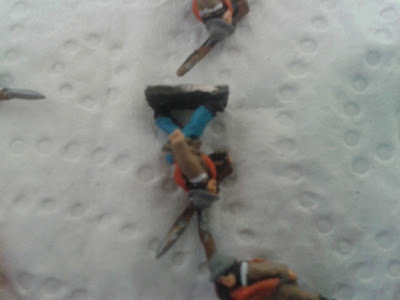 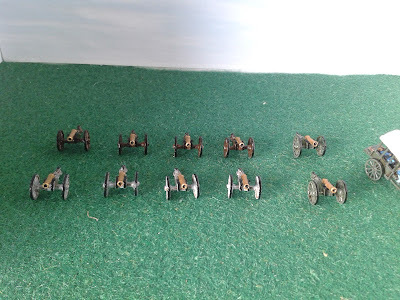 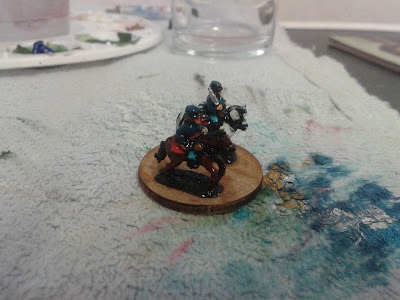 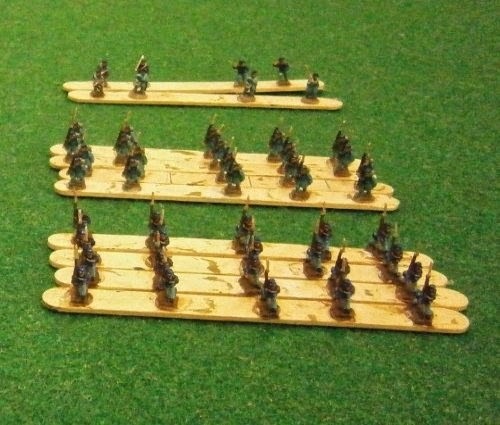 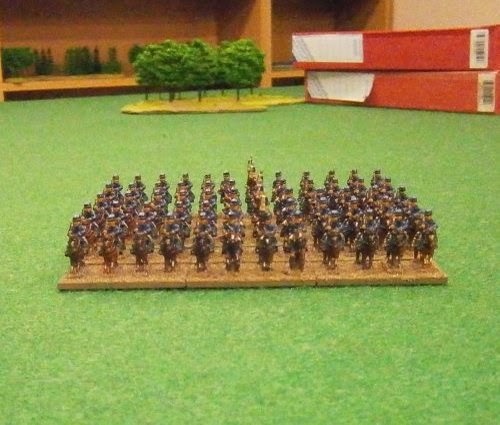 From my last update I have managed to paint a brigades worth of dismounted cavalry and the horses, also all the union limbers and five brigades of infantry as well as artillery and wagons. 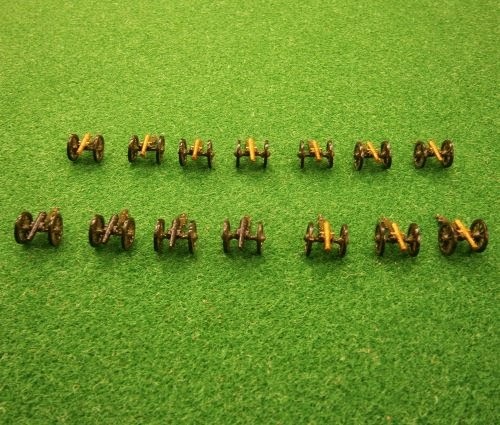 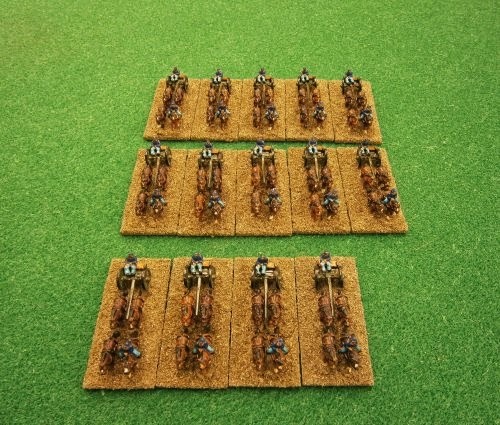 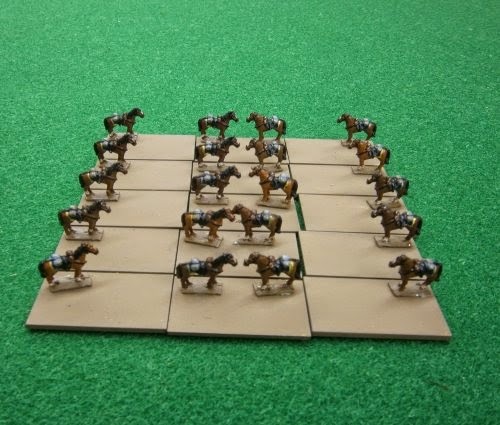 I painted five regiments of union cavalry. 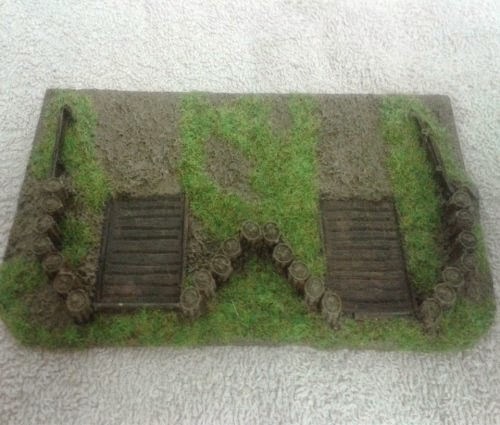 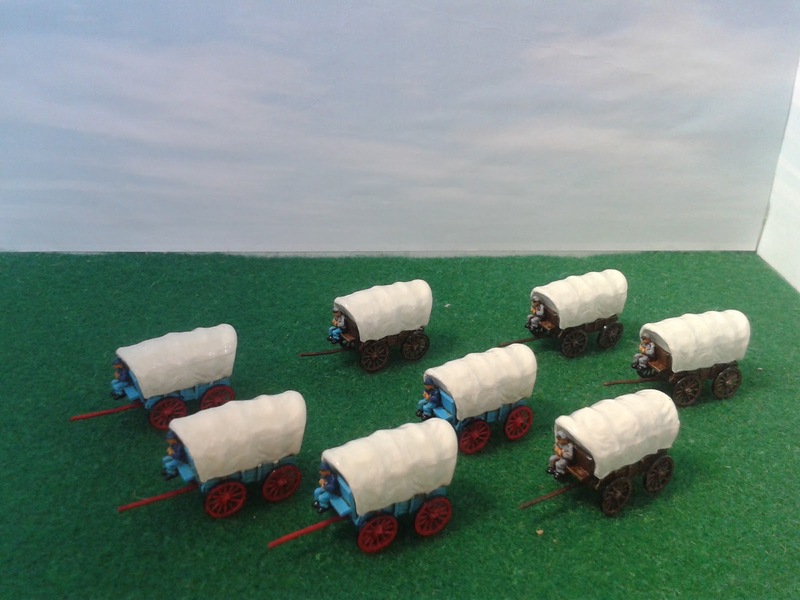 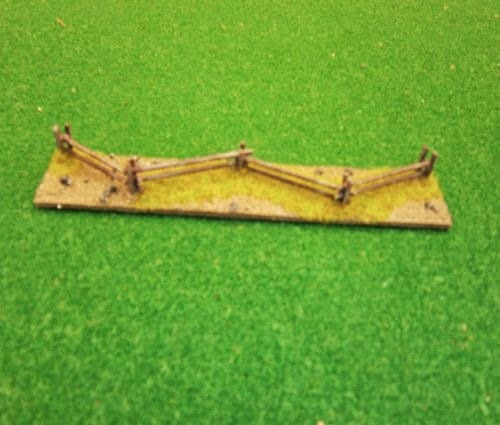 I scratch built all of my French Indian War (ACW) snake fencing you can find the complete guide to building these fences here. 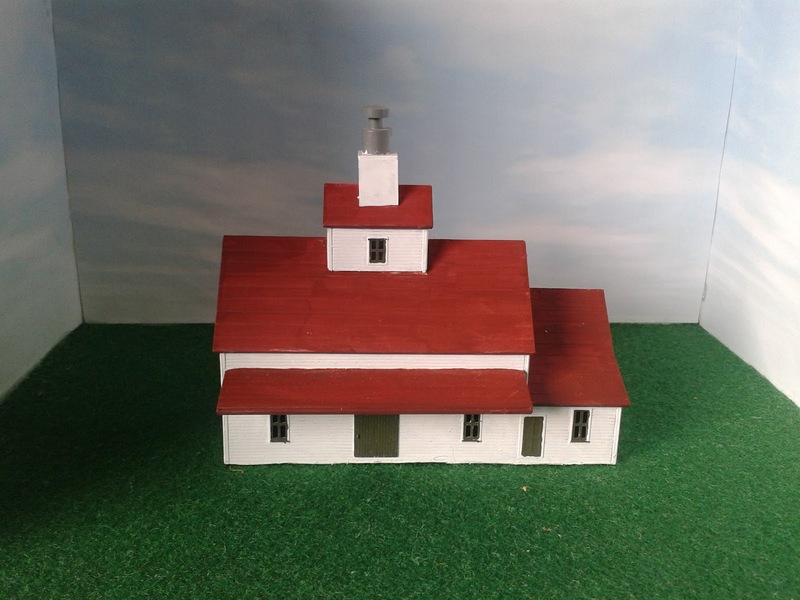 My attempt to build a American Civil War (ACW) blockhouse. 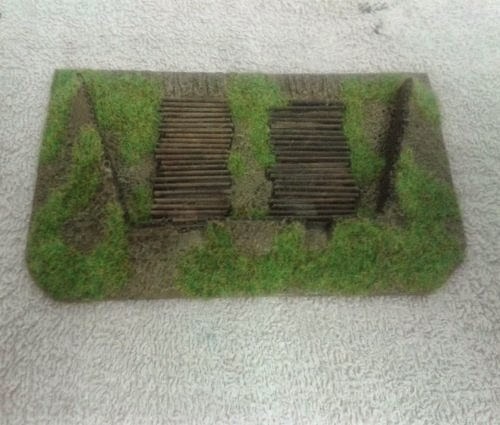 And to be honest I'm rather pleased with how it turned out. 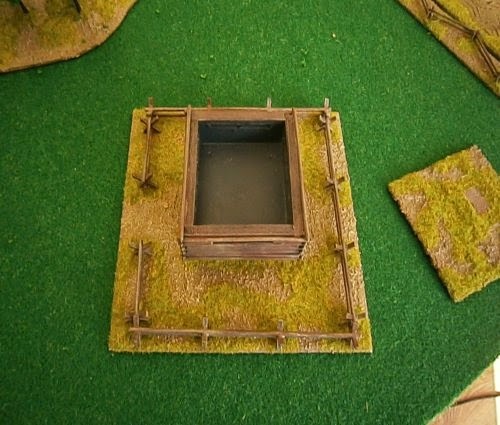 You can see the full construction guide here.